Secret Folder / Files Hider for Mac - Now Hide files and folders on macOS in single click! Secret Folder Hider for Mac - Now Hide files and folders on macOS in single click! Now hide your folders and file on Mac, Simple one-click File and Folder hider App module for macOS. If you are one of the Mac users, who have always wished for a feature in macOS to Hide files and folders, your wish just came true! We all have had always wished that macOS offer a feature to help hide some confidential or personal files/folders on the mac hard drive just like windows to avoid any occasional guest users from looking, copying or making changes to any of these files while usually browsing through the contents of our Mac hard drive. So, finally hiding files and folders on mac is possible with the help of OrganizerMaX. Even though hiding files and folders is just a first line of defense, and if you wish to make the files and folders unreadable, should opt for encrypting and locking these with a password. A feature we are currently working to incorporate very soon. Hidden file and folders can be accessed and opened by making them visible by running some commands on the terminal by any person with in-depth programming knowledge of macOS. Now, unhide/hide files on Mac in a single click. Now, unhide/hide folders on Mac in a single click. Create a Secret folder on Mac in a single click. Avoid the possibility of accidentally disclosing personal/confidential data by mistake. Does not require restarting Mac to hide/ unhide files like other competitive apps. Why is Secret Folder Hider module for macOS in OrganizerMaX a favorite feature with our users? Most of the users have been requesting apple for years to include this feature in macOS, but this might still be in pending features wish list. The recent introduction of Recent Items and folders in macOS X High Sierra was a cause of concern with many users as this would end up displaying some of the personal files on users to anyone sitting next to you at your work desk. Any basic Mac user would need a geek friend to help hide/unhide files on the mac using terminal commands. 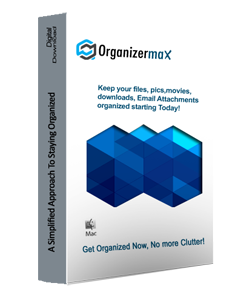 You may consider OrganizerMaX, your friend as it makes this process very simple and easy by making it possible in just one click. How can secret folder on Mac app can help me protect my personal files and folders ? Just don't take our word download and run a fully functional 15-day trial version now, and we are sure you'll say that the app takes all the stress away and helps you better focus on the tasks of the day at hand. What an amazing solution, executed to perfection. Even though you get hooked on to the app immediately, it takes a while to realize the true difference it makes in your life. It takes the “complicated” and “clutter” words out of our daily life. Is there a limit on the number of files or folders, which can be hidden using the Secret Folder on Mac app? No, there are no such limits of the number of files/folders that can set to hidden on mac, it all depends on how many items you feel should get set to hidden from any guest user on your Mac. When the files and folders on the mac will these be modified or moved? No, the hidden files and folders will remain at the same location. In case you move the folders containing the hidden files, the hidden files will move to the new location with the folder. Do I need to restart my Mac to Hide Files and folder on my Mac? The transition to hidden and visible state is immediate as you click and does not require you to restart your Mac. When I hide the files and folders in OrganizerMaX, does that hides the items under finder as well? Yes, the hidden and visible state is supported in finder too. Hidden and Visible state of file and folders those will be in sync under finder as well.